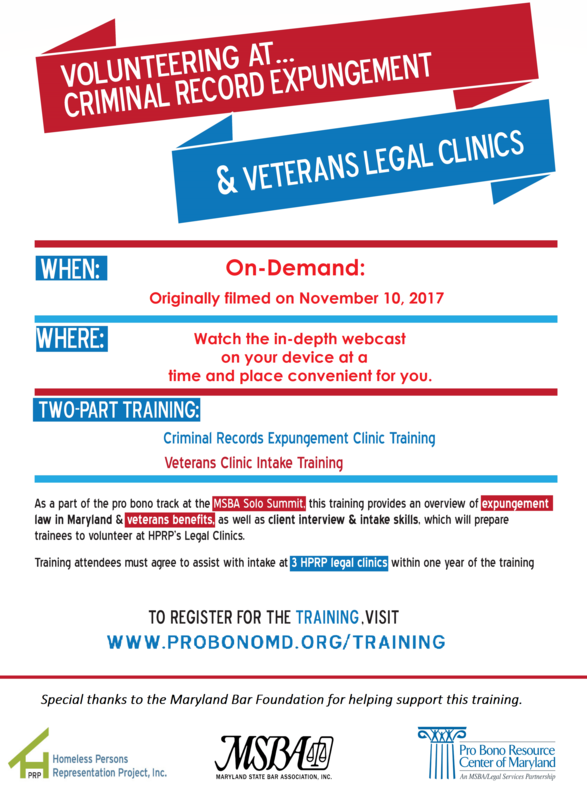 This on-demand webcast training provides an overview of expungement law in Maryland & veterans benefits, as well as client interview & intake skills, which will prepare trainees to volunteer at HPRP’s Legal Clinics. No bar admission required! Open to all who are willing to volunteer, participants must agree to assist with intake at three (3) HPRP Legal Clinics within 1 year of registering.